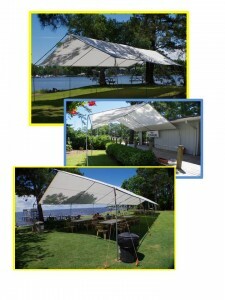 We can provide 20X20, 20X30, and 20X 40 foot tents (with or without side panels), as well tables and chairs for your event. 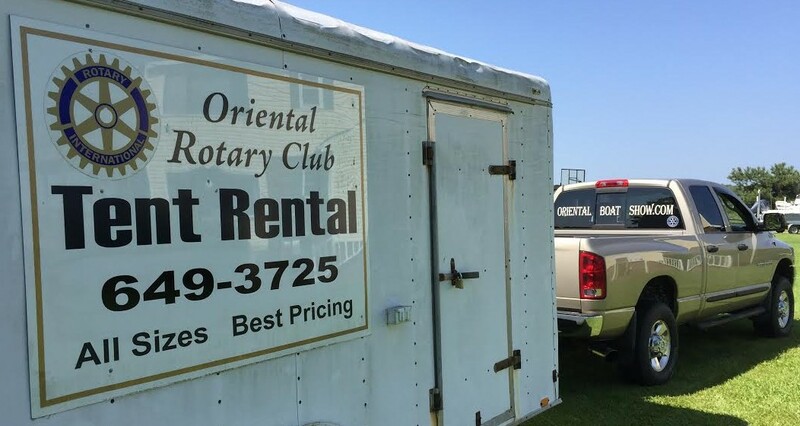 Whether you are planning a Wedding, Family Reunion, Picnic, or Community Gathering you can rely on the Oriental Rotary to deliver tables, chairs, set up, and take down your tent and leave your area neat and clean. 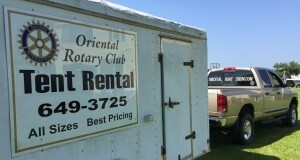 Additionally; renting a tent from the Oriental Rotary Club helps us fund the many community services we provide to the people of Pamlico County.